A 155 x 215mm - 48 page owners handbook for the Ford Anglia 307E. 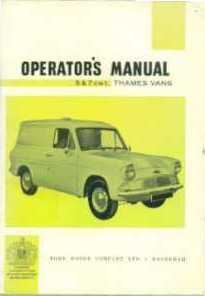 (Thames Van), similar in content to that above, but with different photos and diagrams. 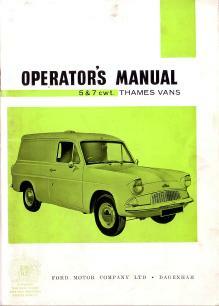 A 155 x 215mm - 56 page owners handbook for the Ford Anglia 307E. (Thames Van), similar in content to that above, but with extra's about Caravan Towing etc. Ref No 61142. 3000. 2. A 155 x 215mm - 52 page owners handbook for the Ford Anglia 307E. 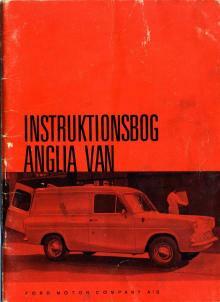 (Thames Van), similar in content to that above, but in Swedish.